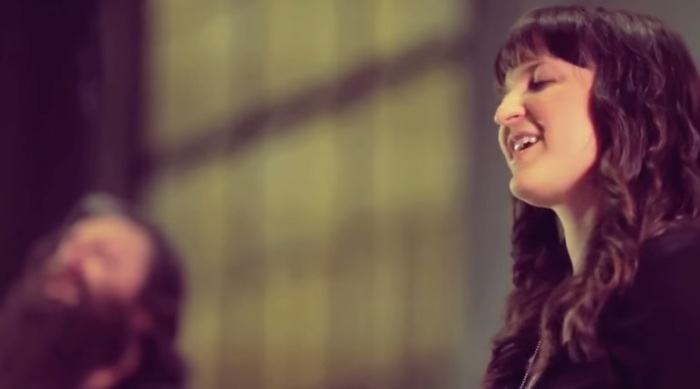 Get Ready to Be Blown Away by This Beautiful Hymn Sung by 2 Stars! You will instantly get the chills when you hear these two sing this hauntingly beautiful hymn together. Bradford Loomis and Beth Whitney do an incredible job at singing together. This unique worship experience will prove it! It is a mix of classical Gregorian Hymn and the classic "Swing Low Sweet Chariot" that is a must hear. The beauty of both styles is what makes this a must hear masterpiece. When they start to sing together it will lift your soul to new heights. Be sure to SHARE this beautiful song with all those who worship Jesus and praise His name.